Lands’ End provides casual clothing for families. Men’s, Women’s and children’s clothing with a nautical theme. 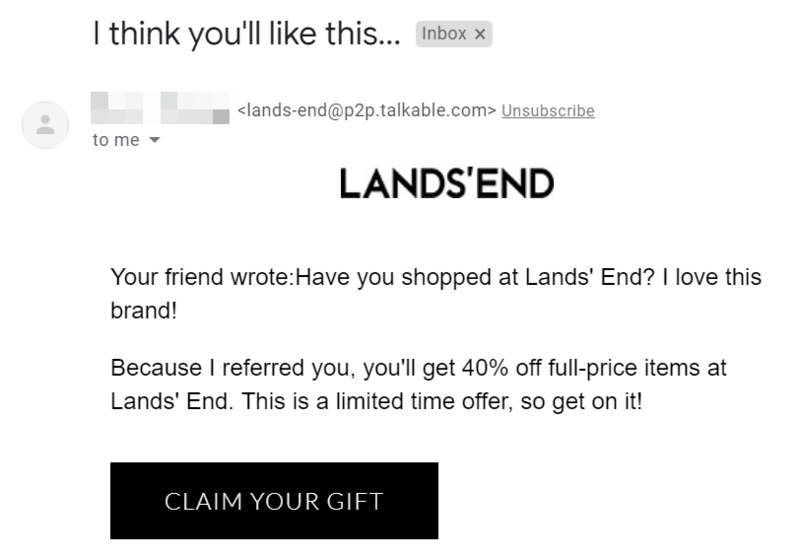 Lands’ End uses a little bit of gamification to get users to share. As you’ll see they have highlighted the ‘new’ coupon amount you can earn for referring. Though we can’t say for certain if this is a new coupon amount or just a clever tactic. They also provide you with a ticker that shows how many people have already shared. On top of that, they give users a little power by allowing customers to check a box to automatically send their friend a reminder email. 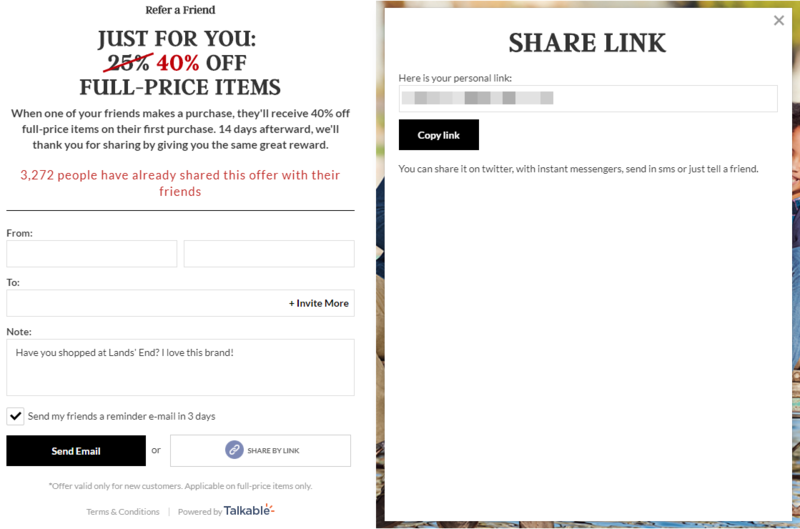 The Lands’ End referral program offers a double-sided incentive by providing both the participant and the friend with a steep 40% off discount.